Megalyn Echikunwoke will finally get some face time in live-action as Vixen on Arrow. After providing the voice for the animated shorts on the CW Seed for 'Vixen,' Echikunwoke will be making her debut in person in 2016 as the "African orphan who inherited the ability to mimic any animal." TVInsider had the exclusive scoop for the move that fans had been asking for since the animated episodes were announced. Many had been disappointed with the brief videos that only ran several minutes per episode instead of a full length cartoon. Still, the shorts laid the groundwork to introduce a new female hero and integrated 'The Flash' and 'Arrow' characters using the live-action actors to voice their counterparts. 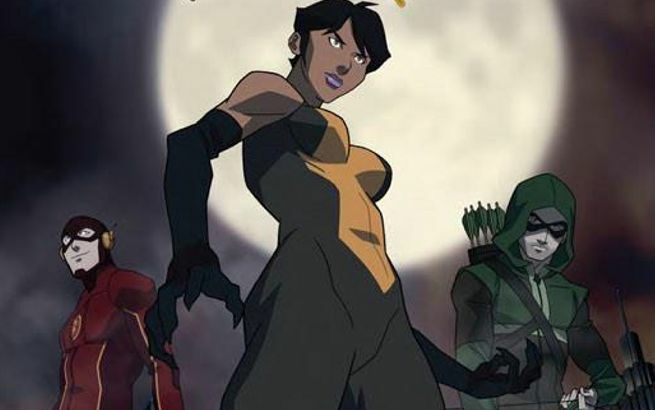 "We’re not only thrilled to be further expanding our DC television universe by bringing in the live-action incarnation of the CW Seed hit, Vixen, we’re immensely excited that Megalyn will be revisiting her role as Mari McCabe,” says Marc Guggenheim, executive producer of both shows.